If you are looking for an Enterprise Mobile Application Development Company where everybody is ready to walk that extra mile, you are at the right place NetStone Global stands out from rest of the app development companies because we analyze the use case of how the apps will be used by your employees. Yes, we have use case experts who analyze each screen and button to make sure they are user-friendly. We have consultants and developers who are experts in writing complex server-side code for integrating your B2B mobile application with existing databases & legacy systems. The B2B application developers in our company utilize push notifications effectively to refresh data in your company's mobile app. This is important for apps that are used on field or on road by your employees. Enterprise Mobility platforms offer a quick start to implementing mobile solutions. 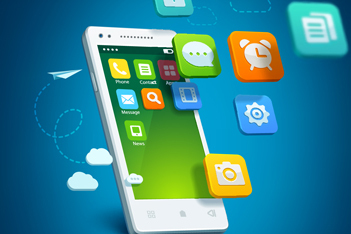 When it comes to developing mobile applications for enterprises, we either take the organic route of building the app from ground-up or use one of the available MEAP (Mobile Enterprise Application Platform) packages. Our iOSapp developers have hands-on experience in planning, building, and deploying complex applications successfully. The challenge in implementing an enterprise mobile solution is not just about finding a developer. It requires an experienced team to understand your business needs and devise an appropriate strategy. It calls for strong engineering experience in developers and architects to be able to reliably integrate the user facing interface with all the backend business logic; take care of persistence and security; manage safe distribution and efficient maintenance. Our iPhone app developers have what it takes to make your development effort successful. Why should you care about enterprise Android app development? Enterprise Android app development is quite a challenging affair because of its open nature. There are more than hundred different kinds of phones with varying screen sizes and capabilities in the market. This fragmented nature of Android makes development and testing a time consuming and costly affair. Our enterprise Android app developers have devised a unique framework for testing Android apps in different screen sizes and different versions of operating systems without incurring the cost of additional testing time or additional test devices. This is one of the reasons why our developers are able to deliver apps quicker than other firms. Also, our app developers have the experience of architecting complex apps across various business verticals, designing usable interfaces and managing security issues. Our developers have the right experience to offer a smooth engagement. Our developers work very closely with our clients to understand their business strategy and app requirements. Committed to the goal of customer satisfaction, our app developers and managers are always available to address your needs and concerns during the engagement. Choosing the right team of developers is crucial to the successful of your effort. Your success is our commitment. Our developers have nailed our client engagement down to a crisp 8 step process by the end of which you will have your enterprise iPhone app running successfully in your employee devices. We have a wide ranging experience when it comes to Android app development. Here’s a list of some of the applications we delivered in the recent past.